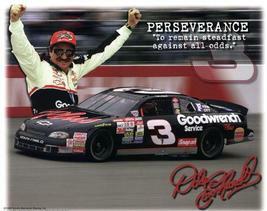 The greatest stock car driver that ever lived. The Valvoline Racing No. 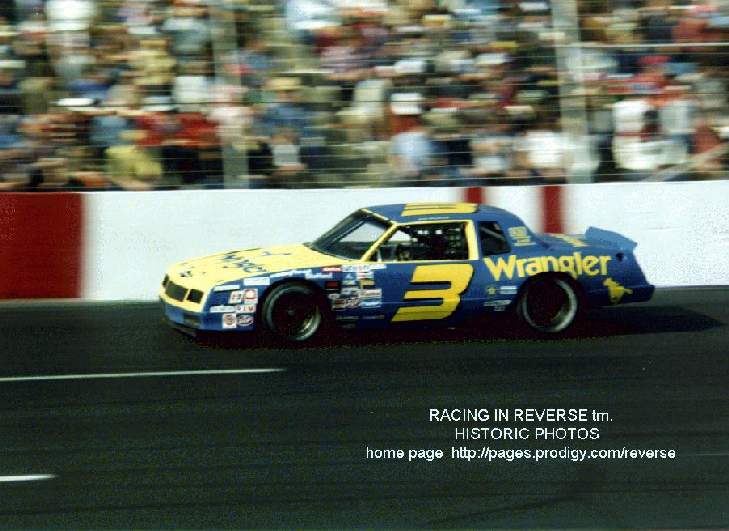 6 car is owned by Jack Roush and Roush Racing and driven by Mark Martin since 1988. 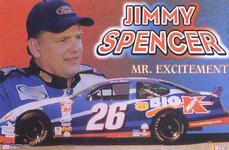 The team has been a top Ford contender every year since. 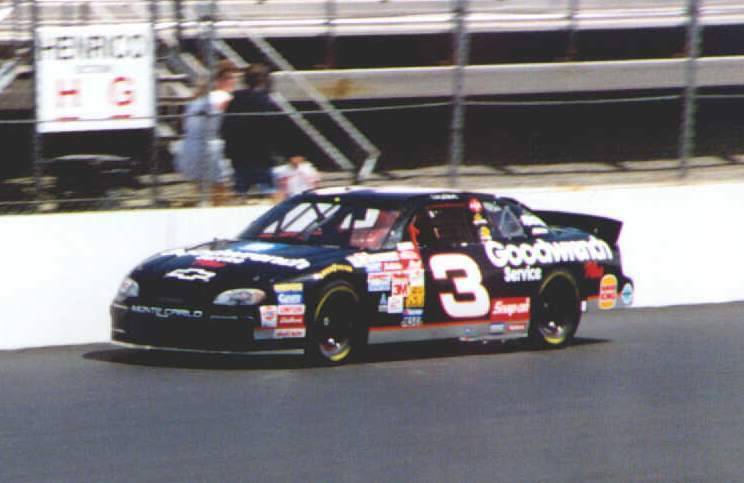 This picture was taken just before the Pepsi 400 race in 1999. 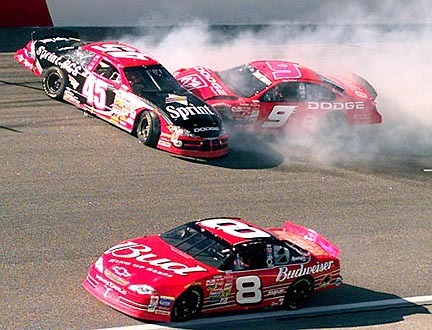 Dale Earnhardt Jr. (8) avoids a first-lap wreck involving Kyle Petty (45) and Bill Elliott (9) during the NASCAR Pop Secret 400 Sunday, Nov. 4, 2001, at the North Carolina Speedway near Rockingham, N.C. Joe Nemechek won the race.